Halloween is such a busy time, who has time to fiddle in the kitchen to make something special? Here are two super EASY and fast original MommyBlogExpert treats to celebrate which use store bought candy and just a few other ingredients you probably already have at home. FTC Disclosure: I received candy from Nestle to facilitate the original posts to which this blogpost links. However opinions here are my own. See complete FTC disclosure information that appears at the bottom of MommyBlogExpert's main page and at the bottom of every individual post on this blog, including this one. Those candy bar candy apples are awesome! My kids would gobble those right up! I have always wanted to try making my own candy bars before. These look super tasty! That is such a great idea! I love that you have so many different kinds of apples and coatings. Candy bar apples sounds like an awesome treat. Now I want to make them. Yeah I would have to agree that would be my favorite way to eat a candied apple. That looks so tempting! Those look delicious! I really love the hand dipped candy bars. I'd love to make these with my daughters. They'd love to help out. My kids were asking me today if we could make candy apples. I wouldn't mind trying these. These are really cool treats! 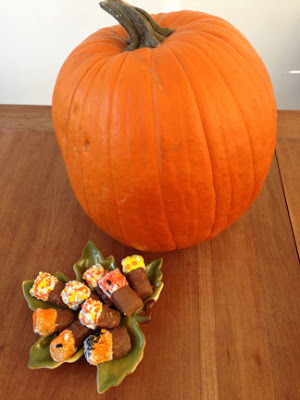 I love treats for Halloween because they are always so colorful and cool! Those are awesome treats. I know my kids would enjoy them. This is such a great idea! I want to make a caramel apple with Reeses on top. Okay, now I'm hungry! Wow! Thee look amazing and I bet they taste yummy, too. Can't wait to try them. These are so cute! My kids would love these apple treats! A candy bar apple sounds delicious! I will have to make some if I have a Halloween party! Cute way to jazz up chocolate bars. I think these would be good for harvest parties and such! 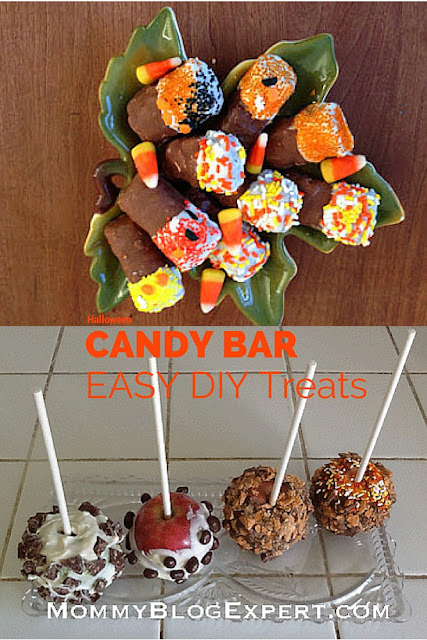 I have small apples in the pantry and some candy bars I think I may make some of these.